This Iridecent Confetti Shooter makes a great pop and sparkle to your next celebration. 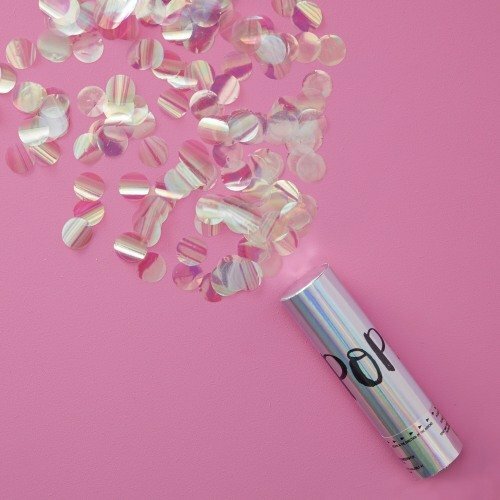 The shooter has a trendy "Pop" design that is filled with iridescent confetti pieces. Perect for birthdays, graduations, baby showers and weddings!